Did you know that we hold the original trademark for Regaliz® leather? 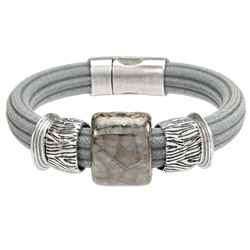 Shop the largest selection of genuine Regaliz® leather, sliders, clasps, and ceramic beads. We are the direct importers and owners of the Regaliz® brand. 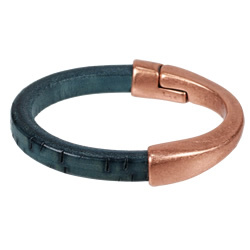 If you're new to the world of Regaliz®, it is a complete bracelet system featuring high quality European leather and metal components that you can mix and match to form an infinite number of style combinations. 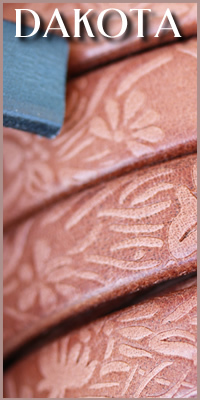 We offer 4 different styles of Regaliz® leather: Original, Mini, 4.5mm, and Dakota. Click below to shop specific styles and corresponding components. 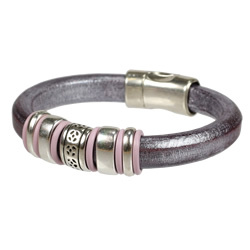 To make your bracelets, choose from a mix of metal spacers, ceramic beads, and rubber o-rings to create a design. The pieces slide right on to the leather. 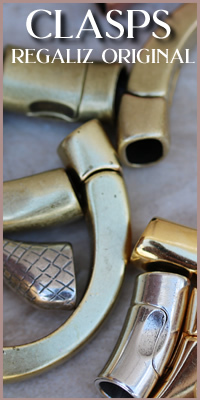 Then, finish the ends with a clasp-- we have a wide variety of closures to meet your preferences. You will have a beautiful customized bracelet in just a couple of minutes! 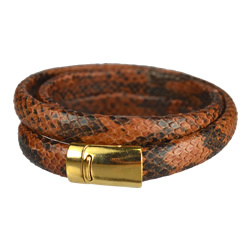 Regaliz® Original Leather is a solid, thick 10mm x 6mm piece of cowhide that is colored with vegetable-based dyes. 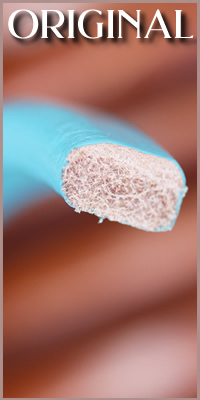 Flat on the bottom and rounded on top, the shape is reminiscent of a piece of licorice candy-- the world "regaliz" means "licorice" in Spanish. 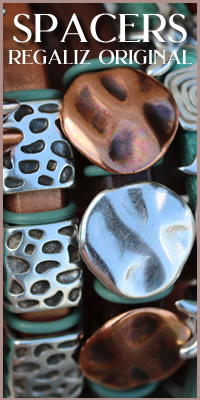 Click above for Regaliz leather, spacers, clasps and more! 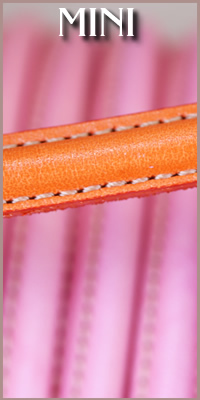 Mini Regaliz® is the little sibling to Original Regaliz® & measures 10mm x 4mm with a solid leather core and raised arch. The 4.5mm Regaliz® measures 10mm x 4.5mm and is available in 4 different leather styles. 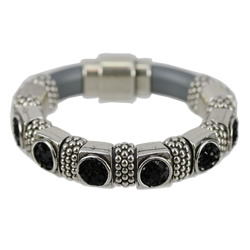 It has a squared off oval shape and has it's own spacers and clasps. 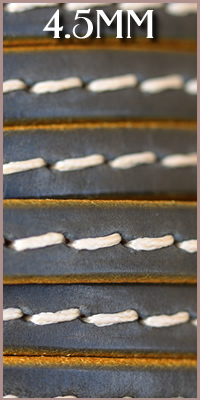 Dakota Regaliz® leather is flatter and wider than the Original Regaliz and measures 15mm x 4.5mm.